Ulrich Hereford Ranch is located in South-western Alberta (Canada) “Where the Wheatlands meet the Range”. More exactly you will find it 8 miles (12.8 km) east of Claresholm on secondary Highway 520 and 4 miles (6.4km) north, then 1/4 mile (0.4 km) east. Claresholm is located 85 miles south of Calgary or 50 miles NW of Lethbridge. Our soils are very sandy and with only 12 inches average rainfall we are best described as under semi-desert conditions. Our cattle are run on mainly Crested Wheat grass, Native grass and some Alfalfa-grass mixed pastures. Most winters our cows will graze out for a good part of their winter feed. The snow usually does not get very deep and the occasional Chinook (a warm wind from the West) will clear off the fields for the cows. Hans Ulrich managed the place for a Swiss family for ten years and ran the ranch as Dr. Amman’s Hereford Ranch. In 1968 he rented the Ranch until 1994 when he was able to buy the Ranch. Over the years the Ranch grew to 4900 acres of dryland farming and ranching. 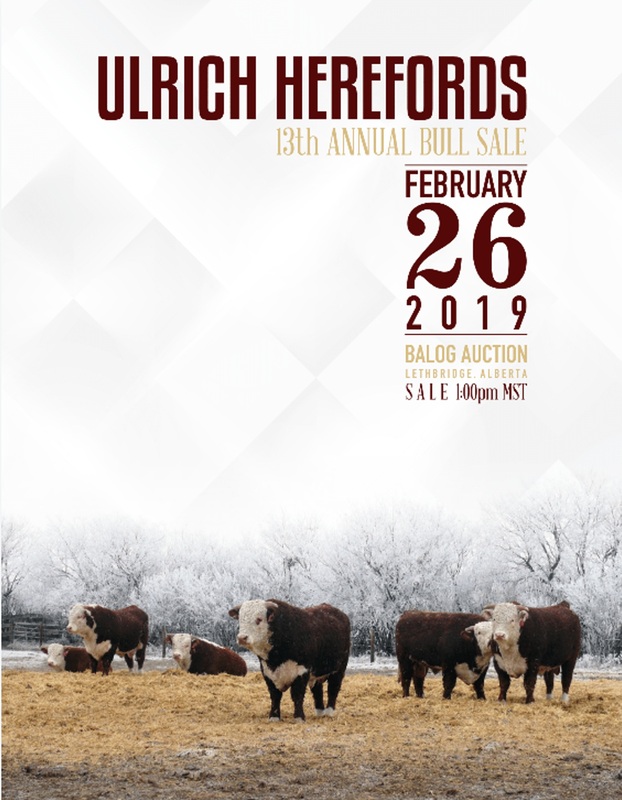 In 2002 the original Ulrich Hereford Ranch, Ltd. was split into two operations with Peter managing the new Ulrich Hereford Ranch, Inc. Peter has been breeding cattle since the early 1980s so the cattle herd has a much longer history. The ranch sells yearling Bulls and two year old Bulls, replacement Heifers and sometimes some Cow Calf pairs.